When Taiwan's most revered countercultural icon, lesbian writer Qiu Miaojin, committed suicide in 1995, she left behind what must be the most ambitious literary manuscript in history, a genre-pushing project that breaks down barriers between art and life, suicide and fiction. 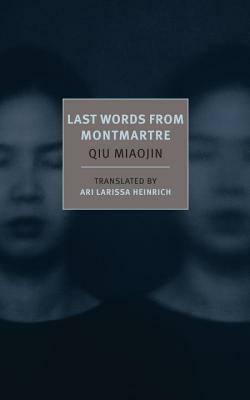 This year, New York Review Books has released Qiu's long-neglected Last Words from Montmartre, a fragmentary novel that, true to its title, contains the author's final words on desire, displacement, and art. One of the puzzles of Last Words from Montmartre is how to treat the posthumous manuscript, as the author has taken great pains to blur distinctions between personal confession and lyric aphorism. Not quite a roman à clef, the novel comprises twenty letters that circle around an unnamed narrator bearing conspicuous resemblances to Qiu and her series of failed relationships with women. 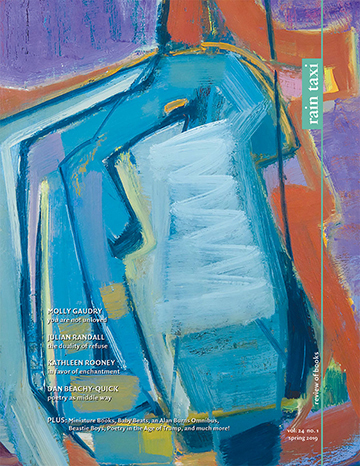 Translator Ari Larissa Heinrich notes in the afterward that Qiu might have intended to use her own suicide as "a kind of speech act, as the ultimate means of sealing the connection between art and life." Qiu's suicide complicates our reading by opening up the possibility that Last Words from Montmartre, which culminates in themes of displacement and suicide-as-art, makes up only the first half of Qiu's masterpiece; the author's death, the death of a stigmatic, politically charged body (Qiu was a Taiwanese lesbian living between nations, culture, genders), completes the performance in a most excruciating form of poetic expression. Whether or not you read Qiu's suicide as a meta-fictional device, the shadow of her death falls across these letters, which are at times melancholy, passionate, and fatalistic, but always take its ideas seriously. Qiu's masterpiece offers an ever-mutating sensibility drawn from various genres: psychological fiction, autobiography, lyric aphorism, letters, and journal entries. If you approach Last Words from Montmartre with expectations of plot, any semblance of a plotline will disintegrate in front of you. If you treat the text purely as a personal or cultural artifact, then you will surely miss its poetic resonances. The instinct underlying these letters is to purge a raw form of expression containing the unmediated knowledge of the unconscious, the "purest" form of art. Qiu's narrator records her thoughts with no particular narrative strategy; her aphorisms shape an attitude about various subjects such as love and displacement, but without forming a coherent argument. Instead, these musings accumulate across chapters and heighten the mood and themes, much like a poem. All twenty letters reveal the details of the narrator's failed relationships and discuss at length the conditions for "eternal, perfect love." At times, these confessions contain elements of fragility and narcissism and call to mind the crushing melodrama of a youth's first heartache, in which practically every sensation is suffered as trauma. In the opening chapter, the narrator declares, "My sorrow, my day upon day and night upon night of relentless grief is not for the mess the world is in, and it's not for my own mortality; it's for my delicate heart and the wounds it has had to endure." This might come across as melodramatic in tone, considering the fact that the narrator is responding to a bad breakup and the death of a pet bunny. But indulgent though they may be, these letters "are themselves a fierce form of desire," a guidebook steering us through the complex emotional registers of adult life. The book pins its confessions on tortured melodrama, poetic riffs, and cool aphorisms, and risks being maudlin, repetitive, messy, difficult to read—all to record a breathtakingly intimate, raw, unfiltered confession. Few writers use the confession and aphorism as purely and effectively as Qiu, whose poetry offers a distinct type of clarity; Last Words from Montmartre achieves a profoundly intimate portrait of an individual whose life unravels before us. That one does not even have a name. And that sometimes one must borrow one. You can give me a place to look at. Forget me by the seaside. I wish you happiness and health.